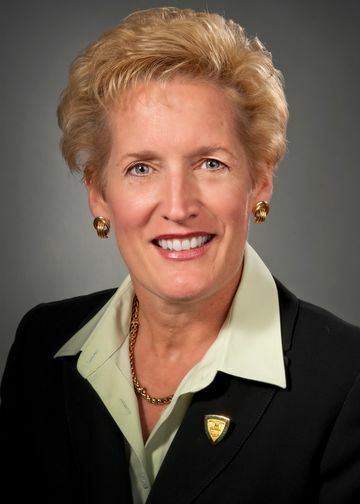 As vice president and chief nursing officer at Huntington Hospital — roles she has assumed since 2011 — Susan Knoepffler, RN, is responsible for strategic planning, resource management, operational performance, standards compliance, research, technology, human resources development and business development of the nursing department. She also oversees Huntington’s Magnet initiative and more than 900 full-time employees. Among her many achievements at Huntington, Ms. Knoepffler helped reduce pressure ulcers (29 percent), central-line associated bacteremia (50 percent), catheter-associated urinary tract infections (85 percent) and ventilated-associated pneumonia (75 percent). She’s also helped reduce patients’ length of stay, excess days and readmissions. Ms. Knoepffler is a member of Huntington Hospital’s Patient Experience Steering Committee, Mortality Review Committee, Audit and Corporate Compliance Committee, Emergency Management Committee and Collaborative Care Council, to name a few. Previously, she served as LIJ Medical Center’s senior administrative director of patient care services from 2008-2011. Prior to that, Ms. Knoepffler held progressive positions at St. Francis Hospital, including nursing care coordinator and administrative supervisor. She began her career as a clinical nurse at North Shore University Hospital, where she was later assistant head nurse and clinical nursing supervisor. Ms. Knoepffler holds a bachelor’s in nursing from the University of Delaware and a master’s in public health administration from LIU Post.